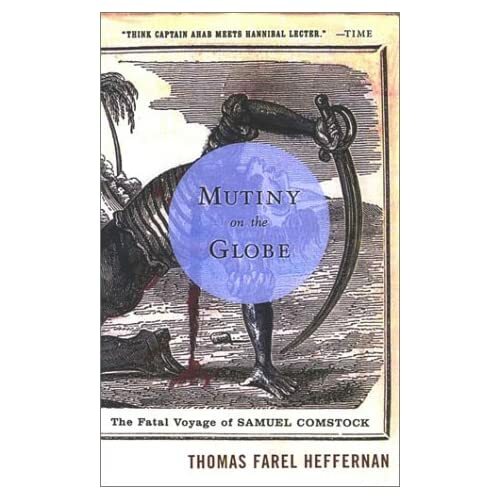 Narrative histories about whaleships, mutinies, and shipwrecks are ten a penny, and this one has elements that are familiar to those who've read other ones. Crazy guy thinks he can set up his own society but needs a ship's crew to get him to the right location, then, once he gets there, he kills everyone who's not in on his plan. Gradually, however, he ends up having to kill more and more people in a Richard III stylee. This book has those elements. What makes it interesting is what happens after the mutiny is over, which is that the ship fecks off, and two guys are left on an island in the middle of the Pacific with some potentially hostile natives. The book tells the story of how they were, essentially, kept as slaves by the people who lived on the islands, and how they lived there for several years before eventually being rescued by the U.S. Navy. It makes a nice change from being cast adrift in a rowboat and having to eat their shipmates, I suppose, but it does seem to have been incredibly hard work, especially as they could never really be sure they weren't going to be killed, and they were separated from each other almost all that time.